Every woman needs a few words of wisdom to get her through those really tough days, and these ladies are here to help! We've put together some of the most powerful women in history and their most inspirational and empowering feminist quotes. So no matter how bad things can seem, you can stay positive about what women can achieve. From realising our potential to claiming our body image for our own, from changing the world to changing your attitude, these iconic women have all contributed something important to the conversation about feminism and the place in society that women deserve. Let the likes of Beyonce, Betty Friedan, Gloria Steinem, Maya Angelou, Zooey Deschanel, Bette Davis, Katharine Hepburn, and so many more inspire you and make you proud. 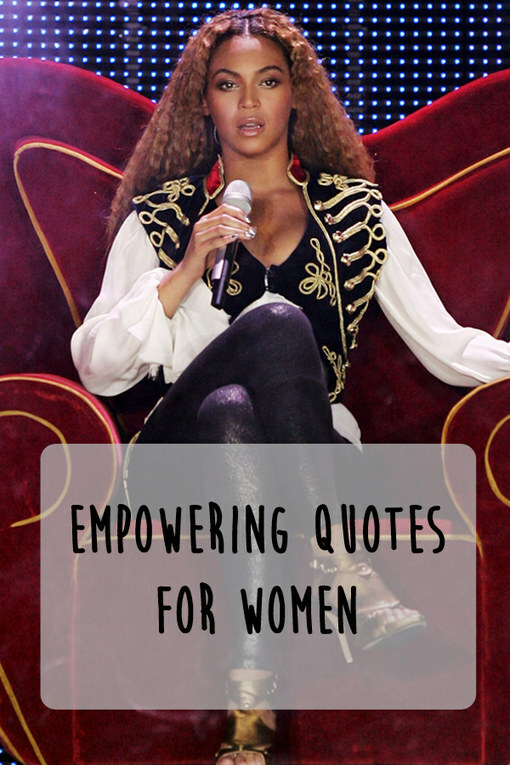 Time for a few empowering quotes for women! You're very welcome.